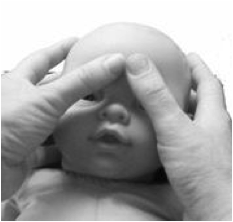 Guest blog by Karen Mayes Paediatric Physiotherapy and Baby Massage, based in York. It’s that time of year when we see a huge increase of coughs and colds in our little ones. It can be really upsetting to see them suffering. 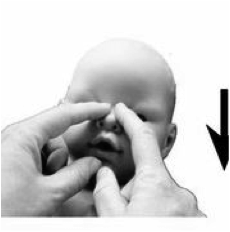 Press fingers gently at top of nose at the corners of eyes and downwards to the nostrils, gently press under nostrils. This massage technique is really effective in clearing snotty and congested noses! This massage stroke helps relieve sinus pressure, and relieves the ‘head cold’ feeling! This stroke is great for opening up the airways and promoting deeper breathing and improving breathing capacity. You can incorporate little circles under the armpits too as this promotes lymphatic drainage which aids in boosting the immune system! Allow wrists to go loose and finger tap on chest . This helps to loosen any mucus on the chest which makes it easier for babies to clear. Allow thumbs to drop down from ball of foot to natural resting position and press gently on both feet. Wishing you a happy and less snotty Autumn / Winter!! Stockport Mumbler would like to thank Karen for sharing these great tips. Karen Mayes Paediatric Physiotherapy offers specialist paediatric Physiotherapy in York and the surrounding areas.